Let me tell you about my friend LB. LB is one of those kids that you follow around sometimes because, often, when he chooses to do something, it’s something worth noticing. 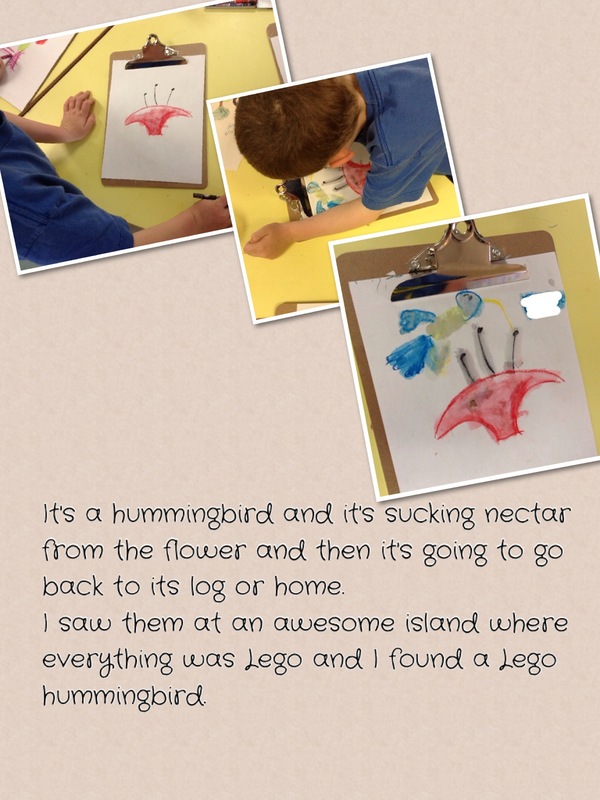 LB is curious and creative. He is also verbal and physical – when he’s upset you know it and when he’s happy he lights up a room. When LB arrived at school last year he rarely put pencil to paper. In fact, I documented the few times he produced something on paper last year because it was so rare. 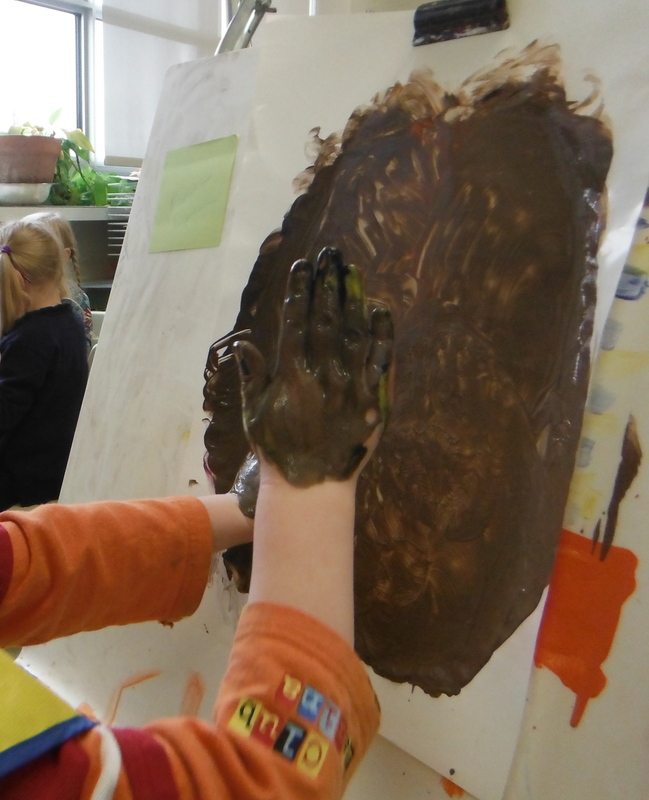 He had very little interest in drawing but was intrigued by the properties of the material… what can you do with paint? How does it feel? Here is one of those rare moments from LB’s first year at school. And now… now as I prepare for the melancholy and bittersweet task of saying goodbye to the children I have been with for two years… just look at how far he’s come. The detail, the imagination, the self-expression. I’m in awe. All last year, the only thing the children ever made out of chairs were forts or houses. They would gather the chairs into a circle, drape a piece of cloth over the backs of the chairs, attach the cloth to the chairs with clips, and play underneath, snug as bugs in a rug. This year, however, the chairs have taken on an entirely different dimension in our classroom. They are used as stages, buildings, and most strikingly for me, as vehicles. One of their favourite things to do, particularly the boys, is to create a vehicle using two chairs, using the legs of the chair in front of them as controls and shifters (interesting in an era when most of us drive automatic transmission cars). 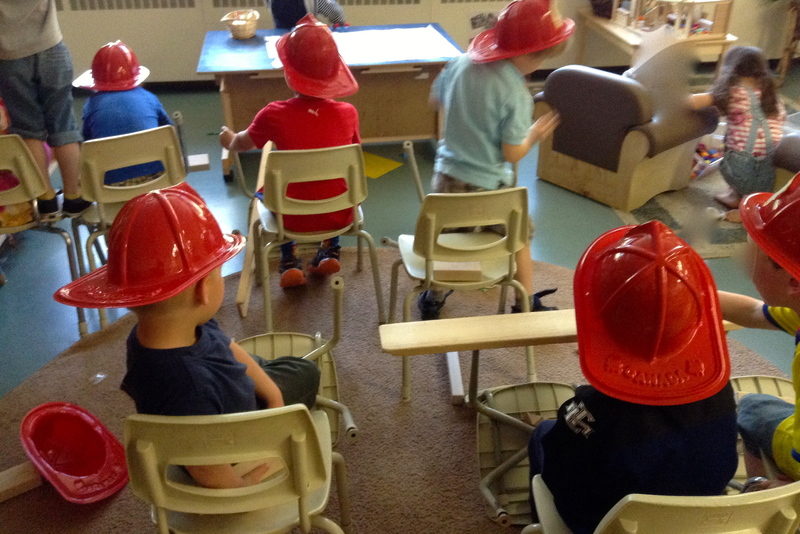 On Friday, following a fire drill, we had three separate fire stations on the go, complete with captains, walkie talkies, hoses, and lots of very noisy fire trucks. I wonder… do other children use chairs this way? How are chairs being used in your classes? This weekend the lilacs bloomed. My own small daughter, while walking past them, poetically named them “blueberry daffodils” which, in my totally biased opinion, was very apt. 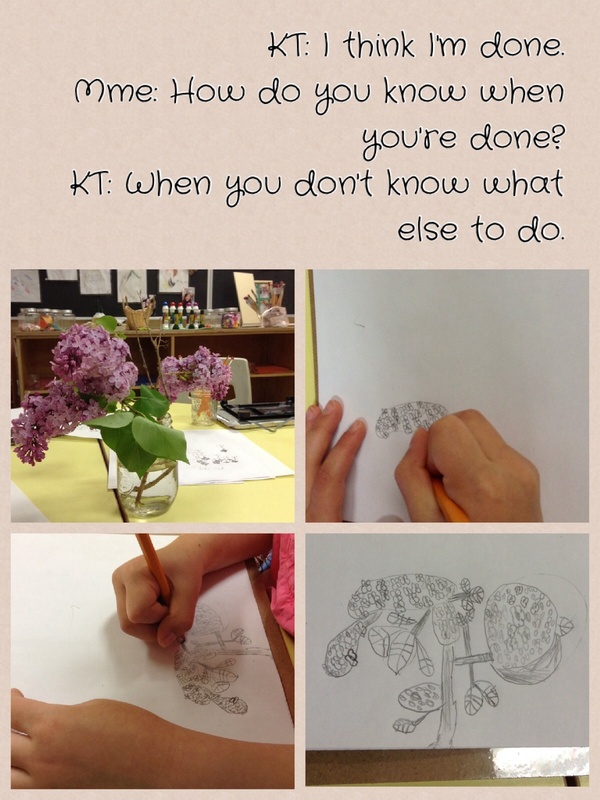 This morning, the children began observational drawings of some lilac blooms I collected on my way to school. 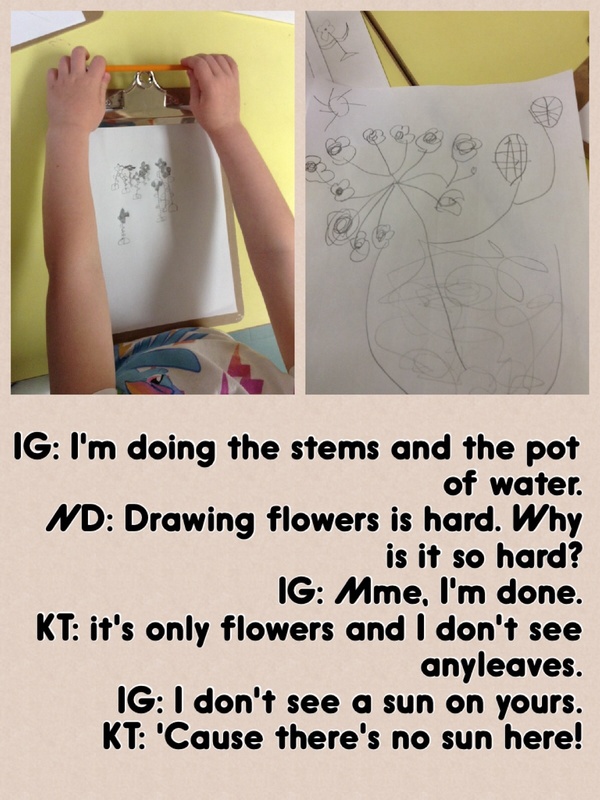 We’ve been noticing, in several contexts, how much stronger their observational skills have become over the course of the year. 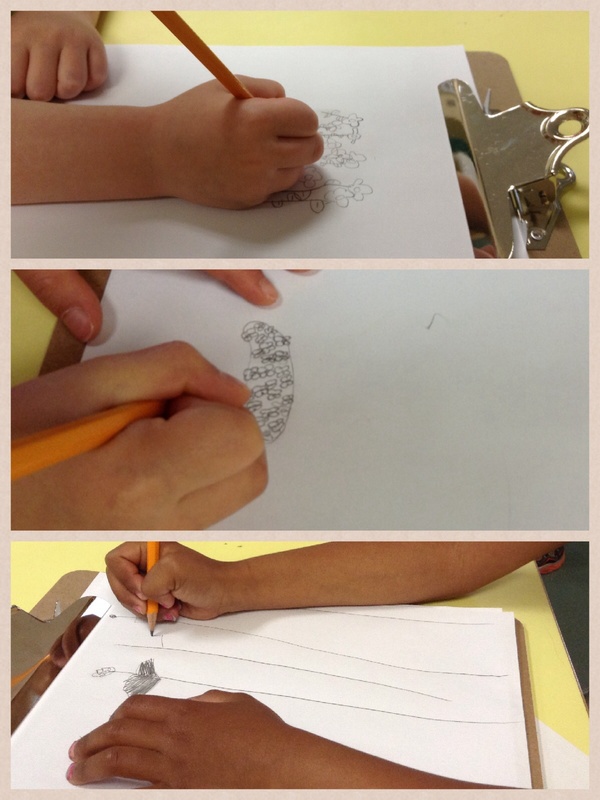 It was interesting to observe how differently, and how much like themselves, they draw. Some have little patience for details while others are extremely detail oriented and spend a long time perfecting their drawings. Others create several drafts before settling on one they like. Others still use the initial stimuli (the flowers) as a jumping off point for something else entirely. 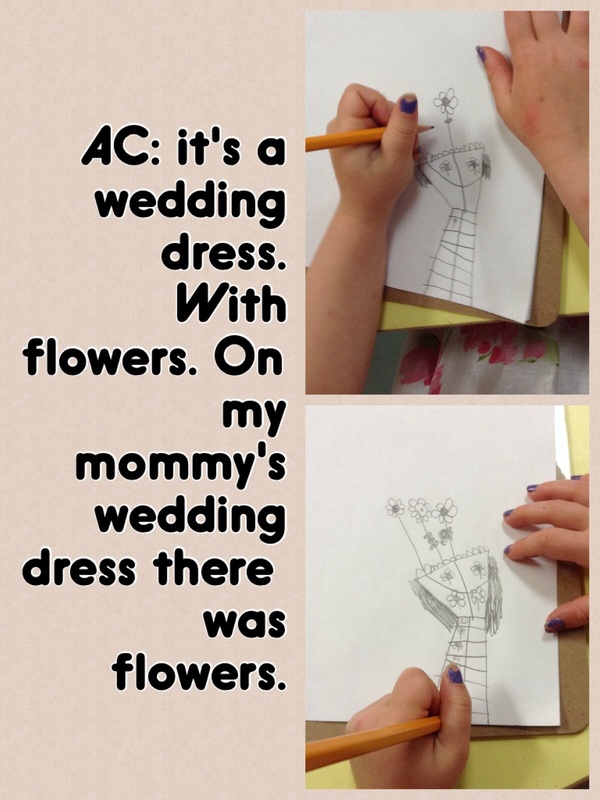 AC used it to help her draw a flower print wedding dress. 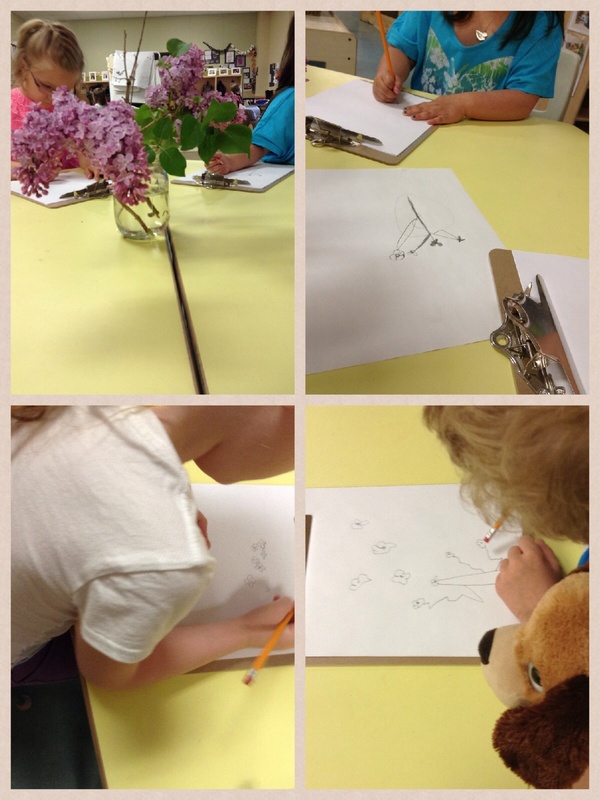 We observed the children giving each other feedback about how true-to-life their drawings were. Should you put a sun in your drawing when there isn’t a sun in the classroom?